Most studies on influence maximization focus on one-shot propagation, i.e., the influence is propagated from seed users only once following a probabilistic diffusion model and users’ activation are determined via single cascade. In reality it is often the case that a user needs to be cumulatively impacted by receiving enough pieces of information propagated to her before she makes the final purchase decision. In this paper we model such cumulative activation as the following process: first multiple pieces of information are propagated independently in the social network following the classical independent cascade model, then the user will be activated (and adopt the product) if the cumulative pieces of information she received reaches her cumulative activation threshold. Two optimization problems are investigated under this framework: seed minimization with cumulative activation (SM-CA), which asks how to select a seed set with minimum size such that the number of cumulatively active nodes reaches a given requirement η; influence maximization with cumulative activation (IM-CA), which asks how to choose a seed set with fixed budget to maximize the number of cumulatively active nodes. For SM-CA problem, we design a greedy algorithm that yields a bicriteria O(ln n)-approximation when η = n, where n is the number of nodes in the network. For both SM-CA problem with η < n and IM-CA problem, we prove strong inapproximability results. Despite the hardness results, we propose two efficient heuristic algorithms for SM-CA and IM-CA respectively based on the reverse reachable set approach. 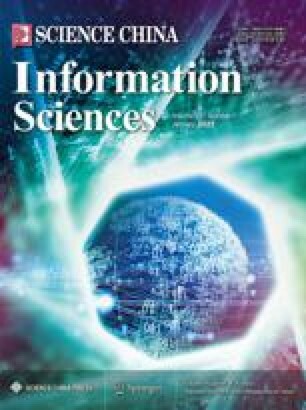 Experimental results on different real-world social networks show that our algorithms significantly outperform baseline algorithms. This work was supported in part by National Natural Science Foundation of China (Grant Nos. 61433014, 61502449, 61602440), National Basic Research Program of China (973) (Grant No. 2016YFB1000201).